This actually makes the station look a lot more appealing than the photos earlier in the thread. Doesn't look too bad at all. Not a lot of protection from bad weather though. Fairly large and imposing apartment building is nearing completion next to the shopping center. And another one that from last I was up that way looked about 5-6 levels is going up across the street from it. Construction in the race course part of the overall development has well and truly gotten under way. That recently completed building in St Clair looks fantastic, really high quality materials and very smart looking design, better than the crap which got built in Mawson Lakes. Another apartment building for St Clair. Decent bulk for the area (should be more that size in St Clair), but lacking—dare I say it—a bit of soul. I assume it will be near the existing apartment buildings near the shopping center and close to the train station. Housing construction firm Rivergum Homes has applied to build 35 more homes in St Clair. The plans include 17 two-storey townhouses and a two-storey block containing 18 flats. Thirteen of the terrace homes would have two bedrooms, starting at $384,000, while the remaining four would be three-bedroomed. The majority of the planned flats, starting at $259,000, are designed as two-bedroom. 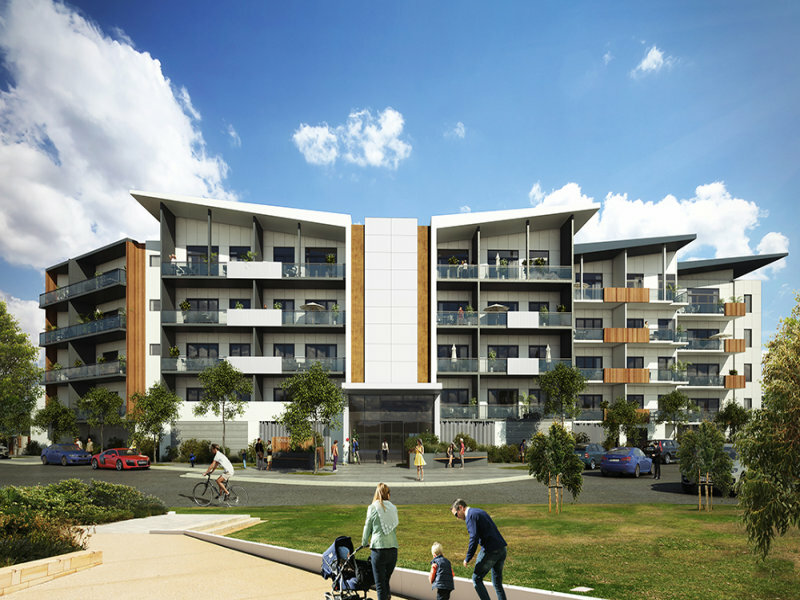 Rivergum expects the homes to go on sale next month, with construction starting mid-year. Another two stages of development are set to be completed within the next two years, with an expected total turnover of $24 million. Project director Tony Scott predicts high interest in the development. “Following proven market demand in areas such as Royal Park, Lightsview and the wider St Clair project … smarter, more affordable homes are highly desirable,” he said. I know this is a really old post but this picture with the staggered balconies and the cutoff corner interested me. I think, for what it is, the appearance is really interesting from this angle, and pleasing to the eye despite the bland materials. It might just be me, but to me it goes to show that an architect with a bit of an eye can make something unique out of any project. Agree with this. Also there is not nearly enough curved corners in Adelaide. Art deco never really took off in Adelaide last century, and doesn't appear to be in this one either, which is a shame.